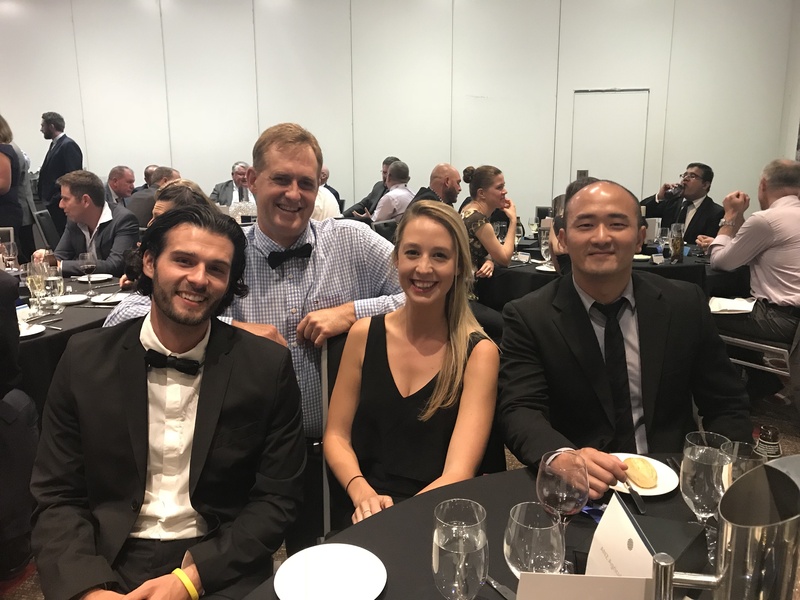 It has been an exciting week for a new graduate entering the agrochemical industry, with the BASF ANZ Agriculture Conference for 2018 commencing only three weeks into the grad program. The conference provided a wealth of knowledge into the key elements of the company within Australia and New Zealand, and highlighted its vital contribution within the Asia Pacific and Global scope of the BASF business. The first couple of weeks for me has been a bit of a whirlwind of entering the business world, meeting many new people, memorising the product portfolio and understanding the customers, and so far, that’s only the induction! So, the conference was a great opportunity to solidify some new working relationships and meet even more people, including some ‘choice’ kiwi’s. The conference followed the theme of ‘helping customers hit new heights’, which centered around the importance of customers to the business and the execution of the exciting pipeline of new BASF products to the market in the years to come. Keeping in mind the simple but important goal of ‘helping farmers produce more yield’- Fenton Hazelwood, Commercial Manager. The conference was held in Melbourne at the beginning of February, and day 1 commenced with an introduction from Gavin Jackson, the ANZ Head of Agriculture. Gustavo Palerosi the Senior Vice President-Crop Protection Asia Pacific further highlighted the milestones and challenges of the entire Asia Pacific region. And lastly was an update regarding the entire BASF ANZ business by David Hawkins the Managing Director; discussing agriculture alongside the other components of the company such as mining, construction and coatings. To conclude, there was a discussion regarding the importance of workplace diversity and closing the gap between men and women in agriculture to achieve a great working environment – yes please! There’s a supportive team at BASF ANZ, and they’re not shy to reiterate the importance of people to a business. Area Sales Managers Declan Sephton and David Pollock, alongside Graduate Shannon and Customer Service Team Leader Angela Stokely. Tuesday started nice and early, with Markus Heldt the global President of Crop Protection making the effort to fly in from Germany for only 24 hours, and provide a detailed global update of the business and the exciting planned acquisitions and products to soon appear on the market. Shortly after, independent rural service and retailer Delta Agribusiness arrived to discuss their business and highlight how trusted relationships between supplier and distributor are crucial. It was great to hear a customer’s opinion on the tools they need from us as a chemical supplier for them to provide their great services to the farmers. Following, was an equally important discussion with two Australian farming enterprises with cropping and mixed farms. Alan Gadsby, a farmer from NSW detailed the many reasons ‘agriculture is not an easy game to play’. The future of agriculture depends on how researchers, suppliers, distributors, agronomists, farmers and the many others act on pressing issues today. Farming is the biggest job on earth, and it was great to hear this from some experienced Australian farmers. Next up in the day was a rather unique team building exercise, whereby we had two hours to get into groups and construct a two minute video consisting of ‘hitting new heights’. The short films included a very convincing Bear Grylls trying to get rid of his termites, an army rolling Attenborough spying on farmers discovering Sharpen for the first time and some pesky rats lured outside by a recorder playing ‘Selontra’. The main event was the Awards dinner that evening. Aside from the great food and seeing (almost) everyone out of shirts, polos and RM Williams, it was a time to acknowledge the great achievements by staff throughout the year. With Lauren Marchant, the Area Sales Manager in southern NSW taking out the big award for her hard work during 2017. Wednesday commenced with workshops centered around techniques to provide customers with the right tools and information regarding BASF chemistry to significantly assist Australian and NZ growers. BASF ANZ has an exciting five years ahead, with around 25 products entering the market. This workshop went through some of the big products currently on the market and some that will be registered in the region shortly. I found this exercise very informative; with Sharpen a multipurpose herbicide that can be used for burndown, pulse desiccation and seed set reduction. Another product discussed was BASF’s biological Nodulaid, which stimulates rhizobium inoculation for pulse crops. And lastly, Velifer, which I was especially interested in, a new product which targets sucking pests such as thrip, aphids and mites in vegetables. It is the first biological insecticide of its kind to be introduced into the ANZ market- exciting or what?! A time to stretch the legs was during the visit to the Boomaroo Nurseries in Lara- a large supplier of vegetable seedlings to the market. We had a look through their high-quality infrastructure and the process of production. The tour walked through the seeds planted in trays with soil and vermiculite, the movement of trays through indoor and outdoor environments, the method of controlling of sunlight in the greenhouses and the control of pests -a world of fun for an ag student. This finalised the conference, and I was exhausted! A very busy, but fantastic experience and I can’t wait to see the effects of these plans put into practice during 2018 at next year’s conference! 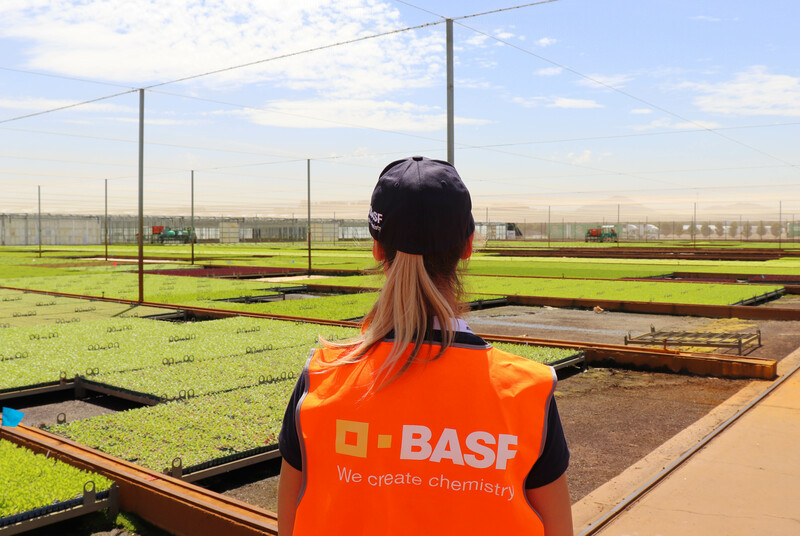 The business aspect of the company is a very new experience for an agricultural science graduate (there’s no soil in this office), but the products that make up the BASF ANZ agriculture portfolio bring it all back down to basics. The science involved in the herbicides, fungicides, insecticides and biological agents that target specific weeds, pests and diseases continue to amaze me. It really is an exciting industry to be in, and a very necessary sector of the industry for Australian and New Zealand growers to provide quality food to the market.